Computers have evolved with us and now it is moving more mobile.With the introduction of small tablets to a robust lightweight ultrabooks. 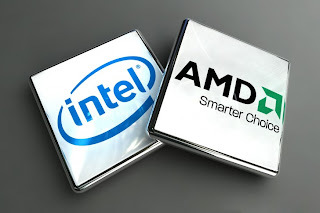 Intel and AMD have produced lot of powerful processors for desktop and now they are making more powerful processors to mobile computing with low power consumption and great speed.Windows and iOS platform has started to use the full potential of these processors which means that you can see more mobile devices lurking out soon ! Intel has planned to release a new set of upgraded atom processors which deliver high performance with low power consumption has a wide range of mobile processors already at a great price and powerful performance. With Windows 8.1 and iOS 7 around the corner,you can see best of mobile devices soon.Microsoft has even planned to create a new range of Surface tablets with the new atom processors this fall.And as usual Apple would release iPad and iPod with iOS 7.